What is Energy Healing ? Can Healing With Energy Help? Energy healing is considered an alternative medicinal procedure, in the same vein as crystal healing. There are many variations of energy healing including Reiki, Bio-energy, Pranic healing, Reflexology and Qigong. It is typically defined by a therapist “transmitting” healing energy to the patient so that any resistance that hinders the patient from healing, can be released. Although some contention exists in this regard, the consensus within the scientific industry is that there is no scientific basis for energy healing. Despite the absence of scientific proof, energy healing has existed for thousands of years and spiritual healers continue to employ it and testify as to its virtues. There are many types of energy healing techniques existing today, but they have certain things in common. 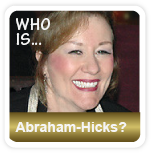 All energy healers use the Universal life force energy in their work to achieve optimal health. Universal life force energy is the energy from the ”Universal Source”. It is the energy of all life, and the vibration of life itself. This Universal life force energy that all energy healers work with is known as Prana (India), Chi (China), Qi (Taoists), Ki (Japan), Ka (Ancient Egypt), and Ha or Mana (Polynesian cultures). Also, all types of energy healing techniques acknowledge the mind, body, and spirit connection for achieving perfect health. The energy healing approaches and methods may differ, but the goal is the same; to release any resistance and blockage on the physical, emotional, mental and spiritual level, to allow the Universal life force energy to flow freely again through the entire body. There is a common belief that an energy healer “infuses” positive energy into the patient while “removing” harmful energy. What really happens is, that the healer softens the resistance within the patient, so that the patient is then able to allow the healing energy. 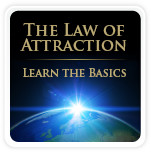 The Universal life force energy is always available to all of us, as long as we don’t block it with our negative thoughts and emotions. In order to allow and receive the healing energy that is all around us, we need to let go of our inner resistance. An energy healer can work in many different ways to help us release our inner resistance. There are a number of methodologies for conducting energy healing, the most common of which include the “hands-on” method, the “hands-off” method, and the “distant” approach. The only difference between the hands-on and hands-off methods, is that the hands-off method doesn’t touch the body. In both methods, the therapist begins by undergoing a period of acquiring energy; it is crucial that the healer is filled with energy or they will have no energy to help the patient. When the healer has accumulated a sufficient energy sum, they then place their hand over the portion of the patient’s body that is believed to be most energy-deficient. 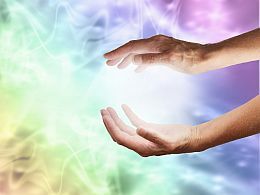 Energy healing custom stipulates that therapists should use their right hand for energy “transmission” and their left hand for energy “removal”, although this dynamic is sometimes reversed for those who are left-handed. Ultimately, one’s ‘energy-handedness’ should be determined empirically. If the procedure is carried out properly, both parties should be able to feel the energy transmitting into the patient’s body. During the healing session, the healer scans for blockages within the patient’s energy field. The blockages are caused by negative thoughts and emotions, and if they stay there for long, the patient may experience physical, emotional or mental discomfort. Any blockage disturbs the healing process. The healer’s work is therefore to soften any resistance, so that the patient can recover and heal. When there is no resistance, the Universal healing energy will flow freely again, and when this happens the patient will be cured. Those who believe in energy healing have attempted to use principles of physics in order to provide scientific justification for the therapeutic approach. Distant healing is used when the therapist has no physical proximity with the patient. This procedure typically begins with the patient and healer engaged in a shared activity, such as a moment of silence or a prayer; this is conducted to ensure that the two individuals are spiritually compatible. The patient then lays down and both people focus on an identical object, typically a healing symbol. It is believed that by both focusing on the same object, the patient receives a portion of energy from the healer. What is Energy healing used for? Energy healing aims to locate the symptom’s origin, and to treat and release blockages that is the cause of a symptom. A blockage in the energy pathways can overtime develop into emotional, mental, and physical problems and diseases. Energy healing is used for those who are energy-deficient, including people who are anemic, depressed, or simply experiencing low self-esteem. Energy healing can be used for many ailments, including (but not limited to) headaches, back problems, muscle tension, stomach ache, asthma, stress, fatigue, and sleep problems. Those who practice energy healing purport that it results in added energy for the patient. It may be that any improved symptoms experienced by the patient are the result of a placebo effect, or may be a manifestation of confirmation bias from patients who subscribe to alternative medicine and want to confirm their belief in the efficacy of the procedure. A somewhat extraneous benefit of energy healing is that it can represent a social outlet for those involved and indeed, entire communities exist involving those who subscribe to energy healing as a legitimate practice. If you believe the benefits of energy healing are the result of a placebo effect, this is not a bad thing. It only shows that we actually can manage our energy and healing with our thoughts and beliefs! Everything is vibration. Our body vibrates. Every thought we think is vibration, so no wonder our thoughts affect our health. Positive thinking is very important in the healing process, and when you believe that something will work for you (or will not work) this is exactly what is going to happen. So to answer what the benefits of energy healing are, you need to ask yourself what you believe. Do you believe in the power of your thoughts? Do you believe that by changing your thoughts, you can change your energy? Do you believe that your thoughts are vibrations that affect your well-being? We are all energy that vibrates, and energy healing is about releasing resistance so that we can heal and achieve optimal health on all levels – body, mind, and spirit.